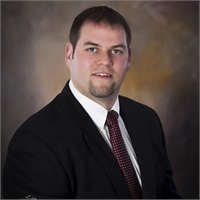 Matt Hiss has been an Investment Advisor Representative with Hiss ♦ Sherman Wealth Management officially since 2008. Before joining the other two partners he worked at an internship with a small brokerage firm in Birmingham, Alabama to help him better understand the broader aspects of the industry. Even before attending and graduating from Baker University with a Bachelor of Science Degree in Business with an emphasis in finance and management, Matt found a passion for finance in high school. He began taking investment training courses that taught him how to create portfolios, manage risk, and build investment strategies. 15 years later not only has his knowledge increased but so has his passion for helping people manage their financial goals. Compassion, communication, and attention to detail are what sets Matt apart for his clients. He believes that no matter a person’s financial situation, it is his job to build an effective financial plan and implement that plan thoroughly through successful communication that suites your busy lifestyle. He believes communication is an integral part for success in pursuing your financial goals and will communicate how you best feel comfortable, whether it is meeting in the office or driving out of state to come to your home. He believes each person’s financial situation is individually unique and so should the client/advisor relationship. With Matt’s impressive problem solving and ‘outside of the box’ thinking he has found a niche working with multi-generational farming and oil families as well as small business corporations. Giving back to the community and volunteering are an important part of Matt’s life, including being on Great Bend City Council, USD 428 Education Foundation chairman, CASA volunteer, and First Christian Church elder. Matt is happily married to his wonderful wife Dena and has three sons. Away from business Matt enjoys golfing, playing basketball, coaching football, traveling, and spending time with family and friends.